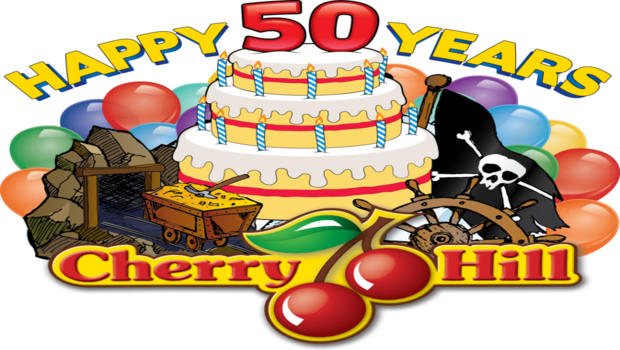 My family and I are headed to Cherry Hill Resort up in Kaysville next week to join the celebration of their 50th Anniversary and we can't wait! This awesome outdoor recreation center and camp ground has a long history and plenty to celebrate. Cherry Hill opened in 1967 as just a camp ground then added a swimming pool and miniature golf coarse. 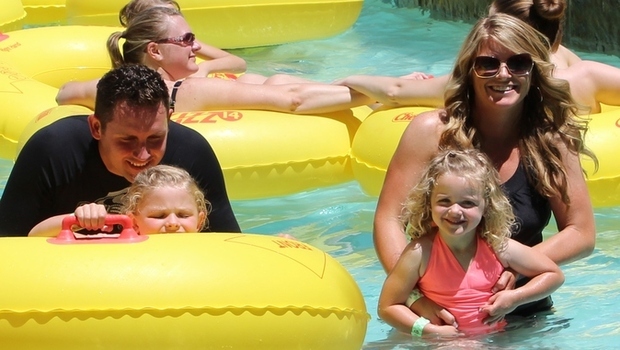 Now they have a full blown water park and tons of extra recreational activities like their Jungle Maze, Aerobat, Hamster Haven, BattleStar Blasters, Junior Jungle Boats, rock climbing and so much more. We are so excited to be some of the first people to try Cherry Hill's brand new attraction that they are opening up to the public this week in celebration of their 50th anniversary. It's a four person water slide race called the Little Dipper! I will be the crazy mom racing her two tween-agers down this water awesome waterslide. Its hard to find something all my kids can enjoy. I have two tweens and two toddlers, and they all have different interests and abilities but with acres of activities to explore Im sure my entire family will have fun all day long. Hope to see you there! And keep a look out for our Cherry Hill review post coming up soon and get all the details, tricks and tips for your adventure at the Cherry Hill Resort.